After a long and successful career, Cesab Europe announces that the “Compasso d’Oro” rewarded and Pininfarina designed hydrostatic Drago Series will be replaced by the hydrostatic version of the well-known and proven M300, the CESAB M300H. Hydrostatic trucks are not new for Cesab as their history goes back to the early ‘90’s when the first version of the Drago model was introduced. Production starts in the Ancenis (France) factory mid-July of this year and the M300H model will be available in capacities from 1500 to 3500 kg both in Diesel and LPG. The heart of CESAB’s M300H is an in-house designed and developed hydrostatic drive axle with components, hydraulic pump and motors, from Bosch-Rexroth. The different modes affect the acceleration and automatic braking via the accelerator pedal. 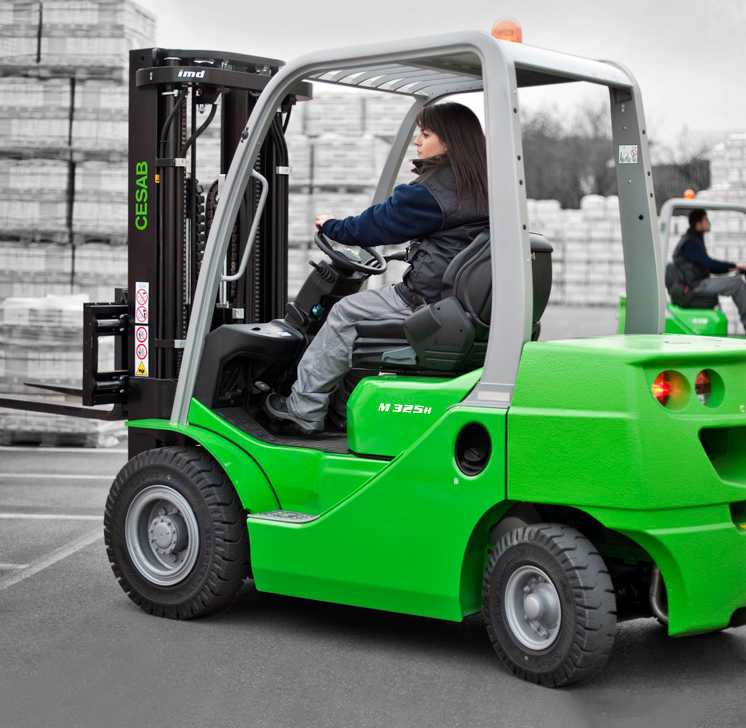 With the help of a portable computer, the driving and the hydraulics can be customised to fit the driver or the customer’s application. With the launch of the hydrostatic M300H Series, CESAB also introduced an active safety feature called ISD. ISD will be standard on the Hydrostatic M300 versions. Steering wheel synchronisation will assure that the steering knob always is at the same spot; the driver knows the exact steering wheel position at start-up. The official launch will take place beginning of September. CESAB Material Handling Europe is very happy and honored to propose these new trucks and features to their European network and their customers.